Words by Dr. John Mason Neale who notes "14th century. 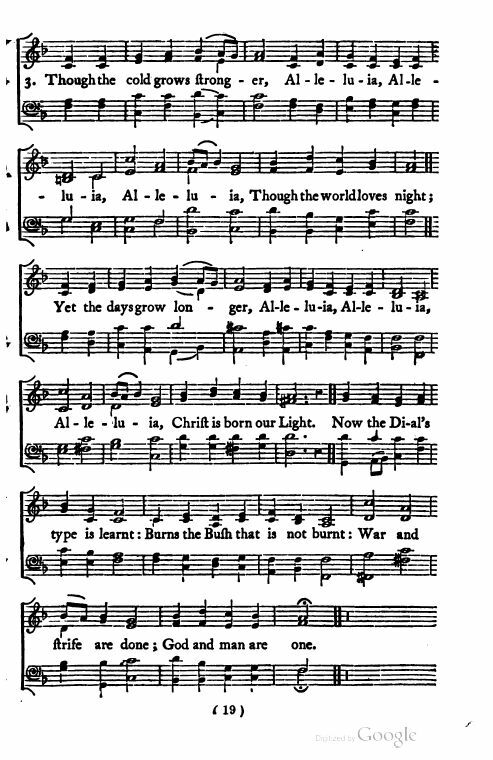 This carol, like several others, borrows in the Latin original the world-famous first line." 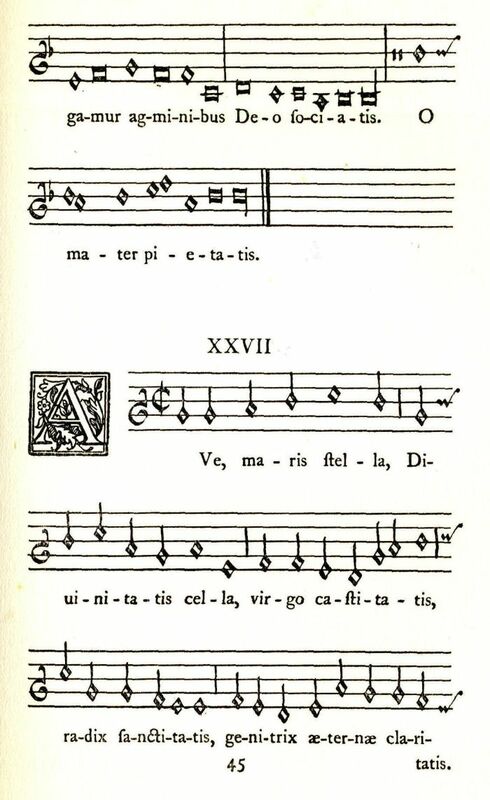 Music: According to George Ratcliffe Woodward, the tune of Ave maris stella lucens miserts, a Phrygian Mode Melody found in Piae Cantiones, 1582 and adapted by Rev. Thomas Helmore. Harmony by Rev. Woodward. Christ is born, our Light. 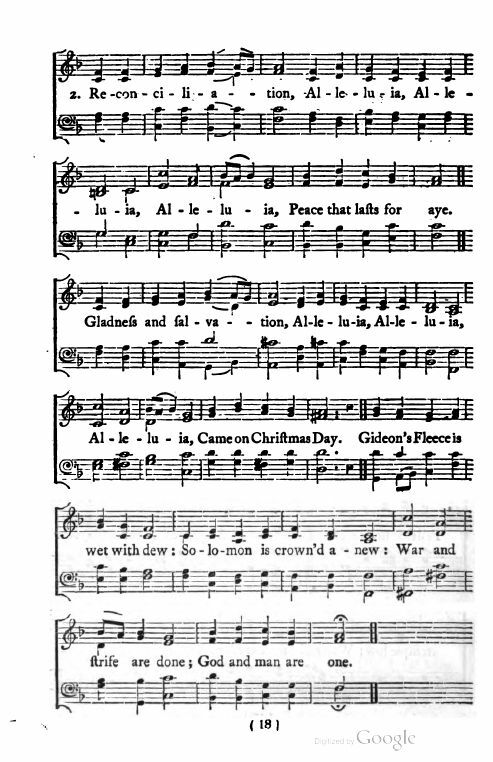 Sheet Music from John Mason Neale and Thomas Helmore, Carols for Christmas-tide: The Condensed Vocal Parts (London: Novello, 1854), pp. 17-19. 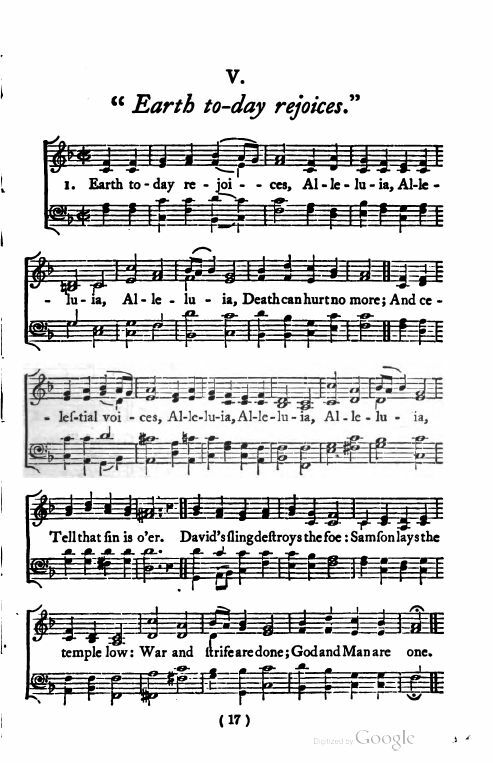 Sheet Music for Ave, Maris Stella, Diuinitatis Cella from George Ratcliffe Woodward, Piae Cantiones: A Collection of Church & School Song, chiefly Ancient Swedish, originally published in A.D. 1582 by Theodoric Petri of Hyland. 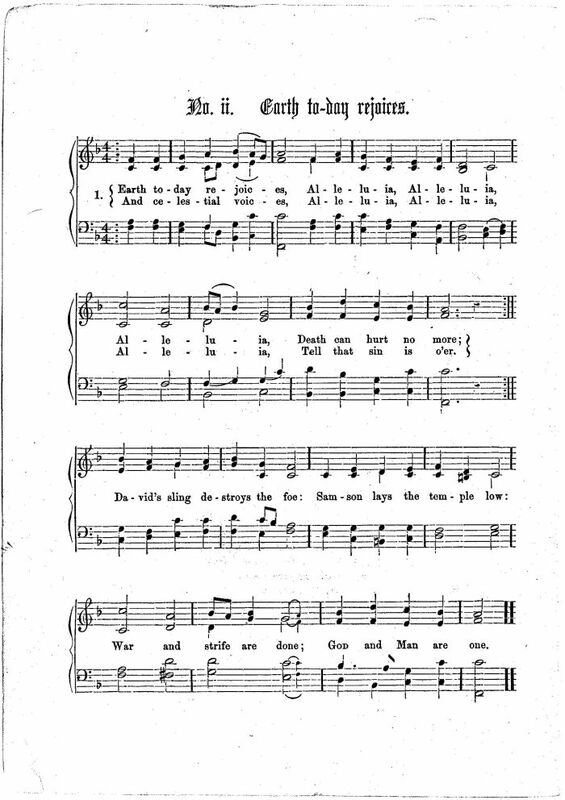 (London: Chiswick Press for the Plainsong & Medieval Music Society, 1910). 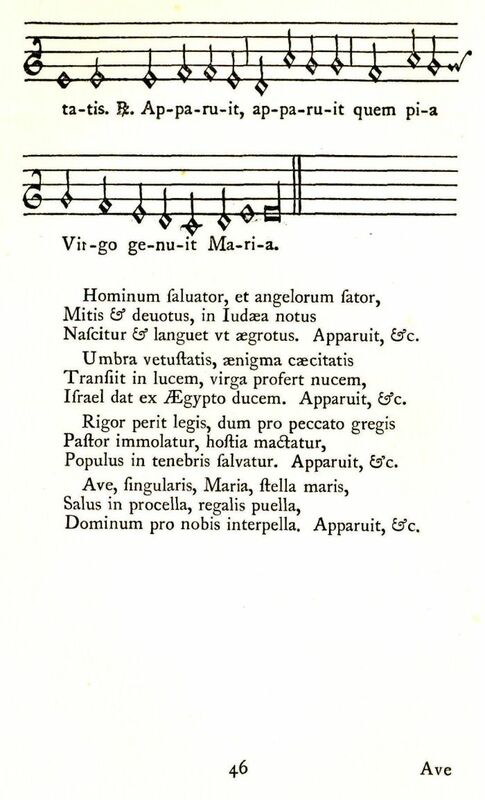 Sheet music to Ave maris stella lucens miserts from Piae Cantiones.